There is a common misconception that if you win your personal injury lawsuit, the other side pays your attorney’s fees. Although most attorneys represent injured victims on contingency-fee basis (that is, will be paid from a recovery, if any), there is no law requiring the other side to pay your attorney’s fees if you win in a negligence action. When Can a Party Get Attorney’s Fees? This is called the “American rule,” which requires an at-fault party to pay the victim’s attorney’s fees only if a statute or contract requires it. However, there is one exception: An Offer of Judgement. Florida’s Offer of Judgment (OJ) law was passed to help cases settle faster before trial. The OJ law says that a plaintiff or defendant can make an offer in writing to settle the case. If the offer is accepted by the other side, the case is over and is settled at that amount. But if the offer is rejected (or unresponded to), then a special rule comes into play. If a defendant makes an offer, and the plaintiff ultimately goes to trial and wins at least 25% less than the offer, the plaintiff must pay the defendant’s attorney’s fees. So, let’s say the defendant offers $1,000 to settle, and the offer is rejected. Later at trial, the plaintiff wins $700–less than 25% of the offer. Even though the plaintiff “won” the case, it did not meet the statutory threshold, and thus, will owe attorney’s fees to the defendant. If the defendant’s attorney’s fees are, for example, a $10,000, judgment would be entered for the plaintiff to pay the defendant $10,000-$700, or $9,300. It works the other way as well. Let’s assume the plaintiff offered $1,000 to settle his case. Twenty-five percent more than the offer would be $1,250. Thus, if the plaintiff wins, for example, $1,300, the defendant would have to pay that plus the plaintiff’s attorney’s fees. There are some caveats to this rule. For example, the original offer made by either side must be “reasonable.” A party can’t just make a silly offer for the purpose of trying to get fees later on. Offers also have to be clear, so that the other party can fairly evaluate them. Additionally, a party cannot make an offer right before a trial starts. It must be made with enough time to be accepted by the other side before trial. When an offer to settle a case is made under the statute, victims should consider the pros and cons of taking it, and undertake a realistic evaluation of the merits of their case. 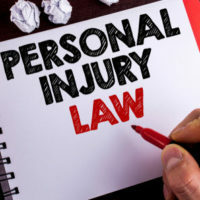 Although victims should not be frightened into settling a case just to avoid paying attorney’s fees, a sit-down with a personal injury lawyer may be appropriate to have a conversation about how the case is going and what kind of verdict may be expected based on the facts of your case. Make sure your attorneys know how to evaluate and handle your injury case. Contact the Celeste Law Firm in West Palm Beach today for a free consultation to discuss whether you are entitled to damages for any injury you may have sustained.